WHO: Prevent Nuclear War Maryland is a group of Marylanders working to reduce the threat of nuclear war by organizing a groundswell of Maryland citizens and organizations to support 1) the national Back From the Brink Call to Prevent Nuclear War and 2) similar resolutions at the state and local government levels. 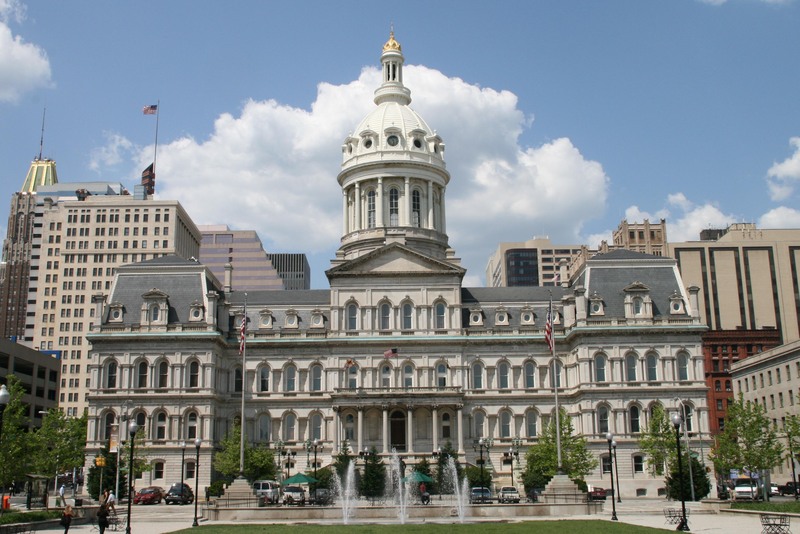 WHAT: Members of Prevent Nuclear War Maryland met with Baltimore City Council members Bill Henry [District # 4] and Mary Pat Clarke [District # 13], and the councilmembers agreed to introduce a Back From the Brink resolution on behalf of Chesapeake Physicians for Social Responsibility. This “Call to Prevent Nuclear War” is a grassroots campaign seeking to fundamentally change U.S. nuclear weapons policy and lead us away from the nuclear precipice. The Call lays out five common-sense steps that the United States should take to reform its nuclear policy: 1-Renouncing the option of using nuclear weapons first; 2-Ending the sole, unchecked authority of any U.S. president to launch a nuclear attack; 3-Taking U.S. nuclear weapons off hair-trigger alert; 4-Cancelling the plan to replace its entire nuclear arsenal with enhanced weapons: and 5-Actively pursuing a verifiable agreement among nuclear-armed states to eliminate their nuclear arsenals. Baltimore would be the first major city in the United States to sign on to Back From the Brink, joining eleven small cities and towns in Massachusetts and Ojai, California. Council Resolution Request for Federal Action – Move Back From the Brink and Toward Nuclear Disarmament is expected to pass. WHY: It is appropriate and symbolic that the resolution will pass in August 6. In 1945, the United States dropped an atomic bomb on the Japanese city of Hiroshima. Three days later, the US dropped a plutonium bomb on the port city of Nagasaki. Councilperson Henry makes the connection by quoting Reverend Martin Luther King, Jr. who said “'A nation that continues year after year to spend more money on military defense than on programs of social uplift is approaching spiritual doom. '” He added, “We need to invest more of our resources in ourselves and in our children, striving for a future in which our efforts towards building a stronger society are no longer diminished by our efforts to mutually assure our own destruction." Back From the Brink is a reminder that spending billions of tax dollars on revamping the nuclear arsenal is an affront to the needs of the people. On July 7, 2017 the Treaty on the Prohibition of Nuclear Weapons (TPNW) was adopted by 122 countries at the United Nations. While the United States was not a signatory, our government must be pressured as the best way to reduce the risk of nuclear war will require the abolition of nuclear weapons.